The Etosha National Park is an internationally known reserve, famous for its abundance and variety of wildlife. More than 100 years old, the park boasts with dramatically successful animal rehabilitation and conservation initiatives, and is your best option for a wide variety of animal sightings. The conservation efforts in the park over the past 100-plus years have led to the successful reintroduction and rehabilitation of animal species that had been eradicated from the area and even resulted in a surplus of animals being translocated to other suitable habitats with lower game numbers. Etosha is Namibia’s flagship national park and one of its most important tourism draw cards. These factors make it the perfect place for the avid adventurer to discover the wonders of Namibia’s abundance of game, whether exploring the park as a self-driver or as part of a tour group. There are several guidelines to keep in mind when setting off on your Etosha adventure. 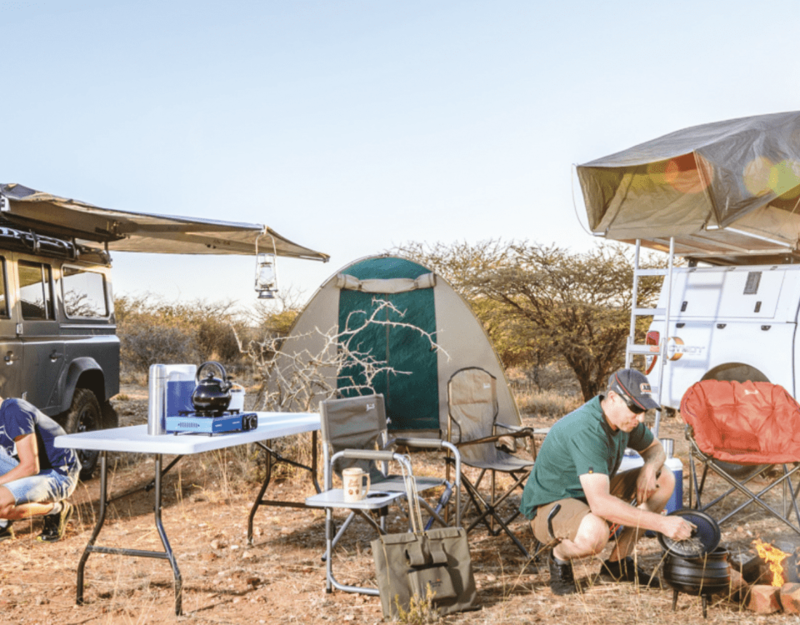 Game can be viewed from the comfort of your vehicle – next to the roads, on the plains or pans, and at waterholes throughout the park – as well as at waterholes in one of the five rest camps. These are, located from east to west: Onkoshi, Namutoni, Halali, Okaukuejo, Olifantsrus and Dolomite. All these rest camps have shops, restaurants and petrol-station facilities. Waterholes are great places for observing animals, especially during the dry season when the surface water in the depressions and pans has dried up. It is especially useful to consult the visitors’ animal sightings books at the rest camps, and to ask park rangers for advice on recent sightings. Paying attention to animal behaviour at waterholes can also benefit those in search of predators, such as when antelope are gathered at one side, and checking the bushes or tree line at the opposite side for predators resting or hiding in the shade. Also keep in mind that different species of animals drink at different times of the day. 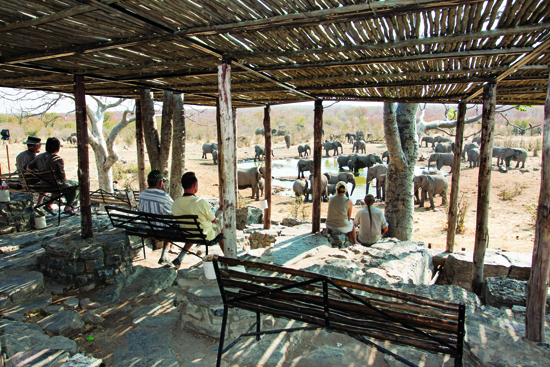 Guidebooks to waterholes are stocked in the rest-camp shops, enabling visitors to gain useful information on game viewing in the park. The early morning and late afternoon hours are considered to be the happy hours for animal spotting, so setting off early is always a good idea. Allow yourself plenty of time, so that you don’t miss out on great sightings such as lions, elephants, rhinos and possibly even leopards. The park is home to four of Africa’s Big Five. In fact, Etosha is frequented by more than 486 different species of vertebrates – including reptiles, birds and mammals – for spotting and ticking off lists. While three days will enable you to see the whole park, five days will be more rewarding, as it will allow you to explore this famous animal kingdom at a leisurely pace. There are specifically demarcated roads for tourists to follow. Some of these roads are closed off during the rainy season though, as they become too wet and muddy for standard vehicles. 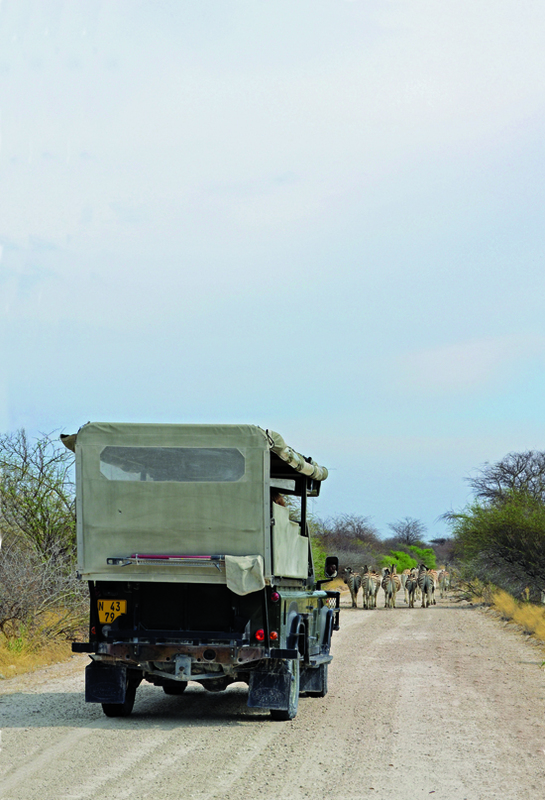 Drivers are advised to take extreme caution when driving on the gravel roads and to stick to the speed limits, as the hazards of gravel-road driving are as prevalent in Etosha as everywhere else, but have the added risk of unexpected animal roadblocks. Speeding can cause harm to wildlife and tourists alike.